At our school, we think about how the values of our society are fundamental as we live in an increasingly growing diverse and vibrant society. We know that it is possible to live together peacefully, each of us a valuable part of our multicultural world. Through understanding the core British Values, we strive to be the best citizens we can be. The school takes opportunities to actively promote British Values through daily collective worship and whole school systems and structures such as electing and running a successful School Council, Chaplaincy team, Eco Team as well as many more pupil led groups. We also actively promote British Values through ensuring that our curriculum planning and delivery includes real opportunities for exploring these values. We also play active parts in supporting our local and global community through a range of workshops, missions and charity work. 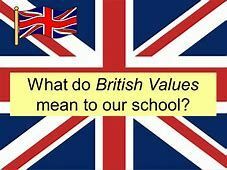 Take a look at what each aspect of the British Values looks like in our school.